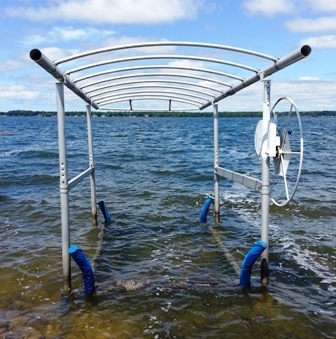 This Pre-Owned Shore Station aluminum boat lift with Blue Canopy (not shown) is currently at our marina in Bear Lake, and is suitable for a boat that weighs up to 1800 pounds. Excellent condition. Delivery available upon request. Additional charges apply. 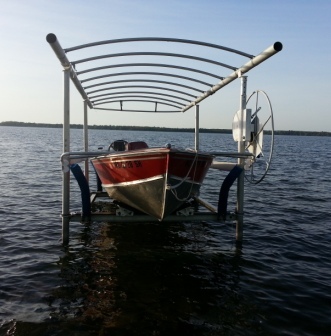 Keep your boat pristine and dry. This one won't last long.